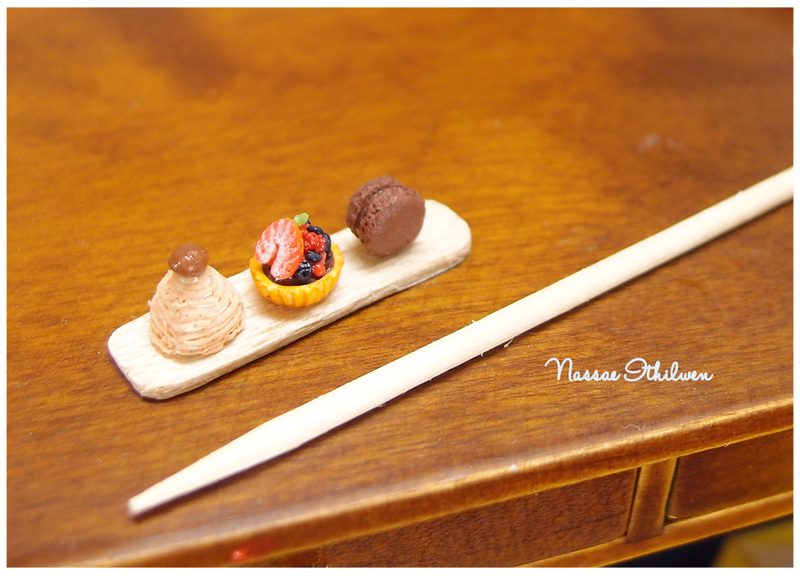 A dessert collection with a chestnut Mont blanc, a berry fruit tart and a chocolate macaroon. Three of the nicest French dessert that everyone likes. 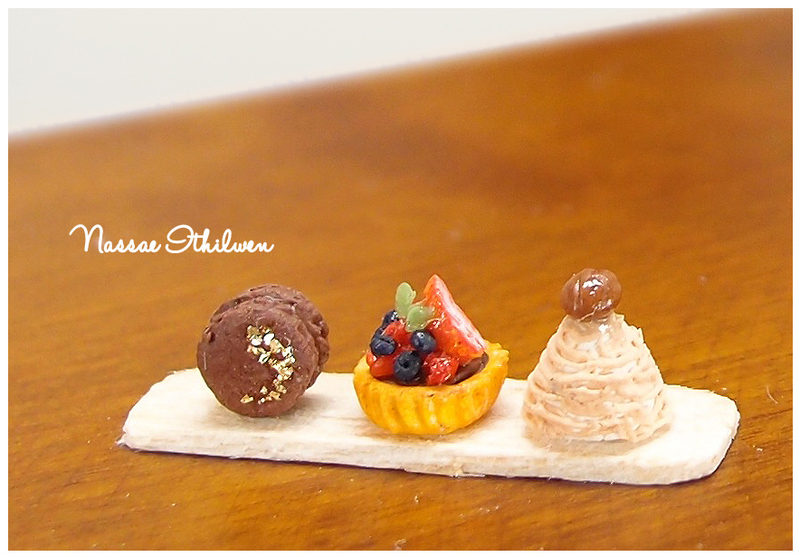 I'd like to have a fruit tart right now!